The Soviets have a knack for building the most extreme and gigantic machines. To answer the requirement for a super heavy helicopter that could carry major ICBM missile components the Mil Moscow Helicopter Plant came up with the V-12 design. This was a unique two transverse rotor system that used four Mil Mi-6 Soloviev D-25VF turboshaft engines in a transverse configuration that eliminated the need for a tail rotor. 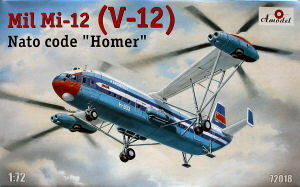 The Homer is the biggest helicopter ever made! The design goal was for the machine to lift 30 tons but after the prototype Homer first flew in 1968 it managed 31tons and then in 1969 it set a world record by lifting over 44 tons to 2,255 meters! The V-12 carried a crew of six, was 37 meters long and had an empty weight of 69 tons and a max take off weight of 105 tons. Max speed was 260 km/h and the range was 1.000km. 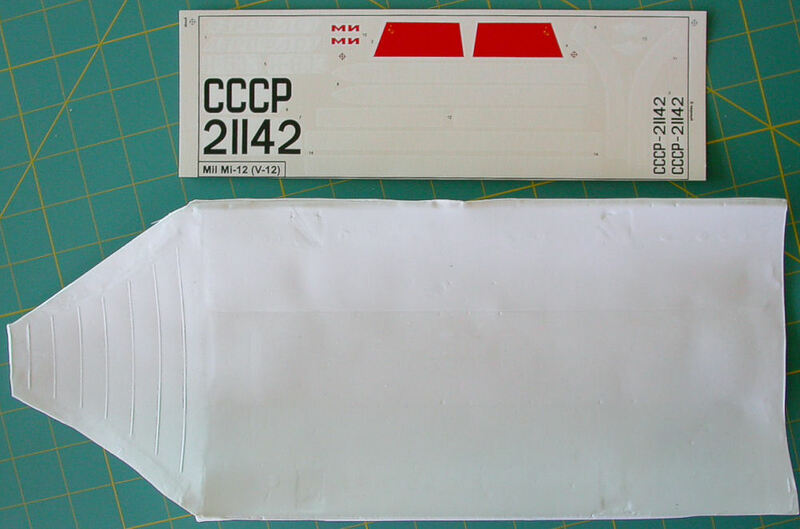 Two V-12 prototypes were built but the type never entered production because the the strategic demands for ICBMs changed and because there was another more tangible project in the works (the Mi-26). The first prototype V-12 is at the Mil helicopter factory museum and the second one is at Monino. Here is another Amonster release by Amodel. Monster it is and it comes in a huge box full of parts owning to the complex nature of the design. 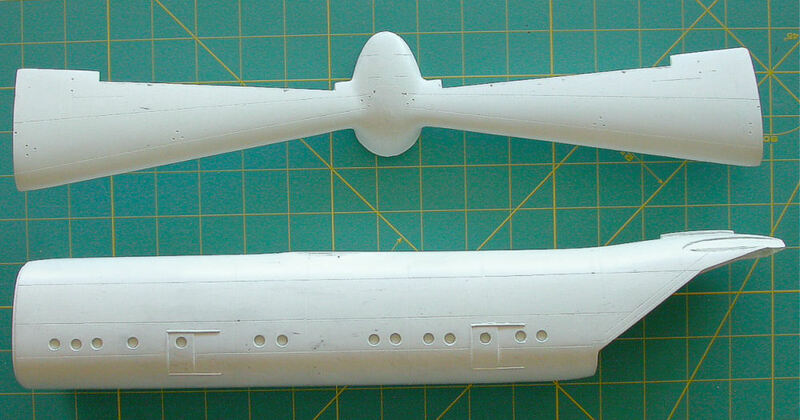 The fuselage comes in two preassembled fiberglass parts and in my example the fuselage parts were very well aligned. Also the support for the two rotors that looks like a wing is done in fiberglass and includes two metal locating pins that are incorporated in the fiberglass design. Test fitting the fiberglass parts showed a positive and secure lock. 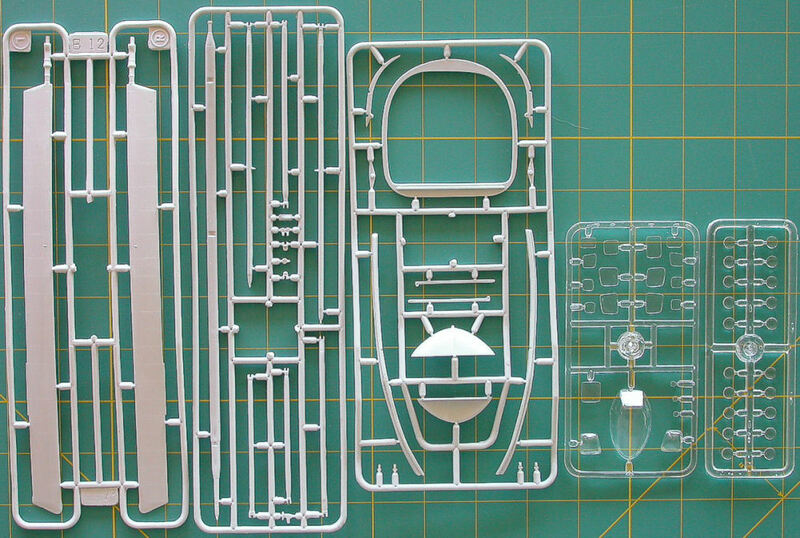 There are a lot of plastic parts included in this box basically because you end up getting two Mi-6 rotors and all the supporting engine components. The engines are well done and I really do like that this time we get the rotor blades molded with the characteristic blade droop dialed in. The kit comes with a complete double decker cockpit arrangement and a fairly complete interior. 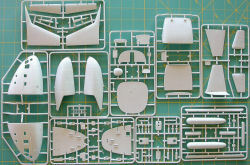 The modeler will have to line the interior of the fiberglass fuselage with a vacuform sheet that is provided in the kit. The clear parts are pretty good and they will benefit from a dip in Future to bring out the shine. There is a very complex structure full of struts and support beams between the landing gear and the trusses all around the engines. This is the weak link in this kit and it will require the most time to keep aligned and proportional between the two sides. There is no easy way out and careful work will be required. 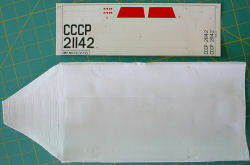 The decals included are for the second prototype (21142), so be careful with the color choices. Photos exist around the web about how Homer looked when it visited Holland in May of 1971. 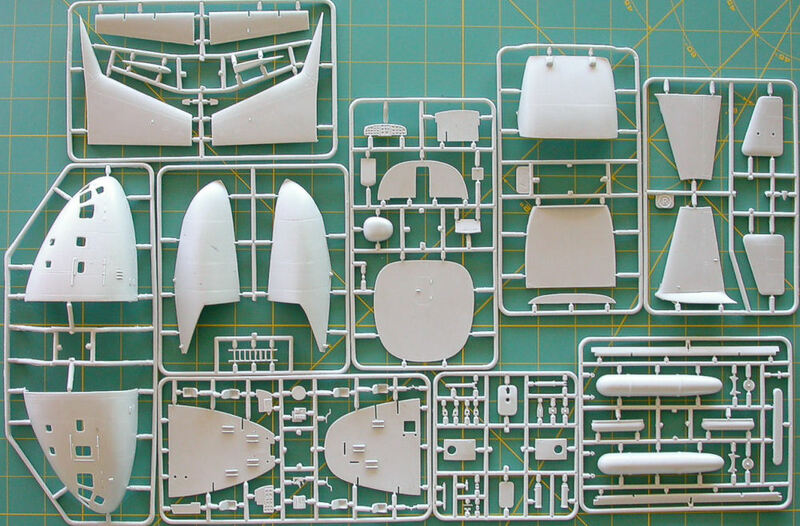 This kit is recommended to the crazy helo aficionados and the collectors of Amonster kits. 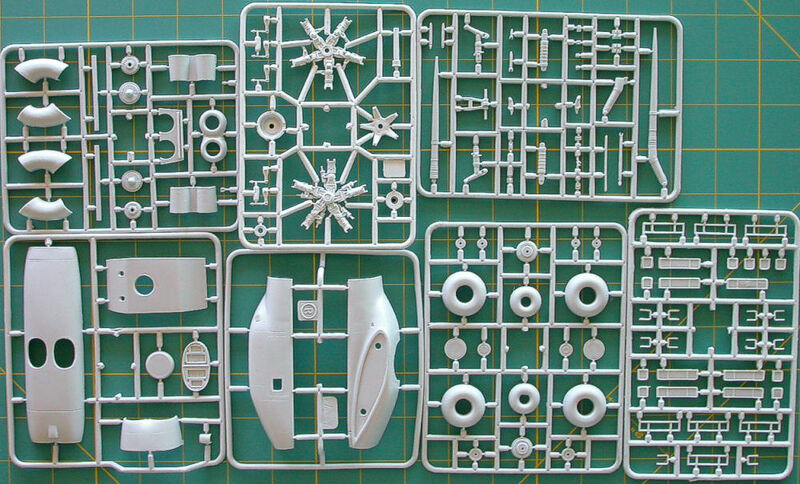 The kit was purchased from Hobbyterra for $230 which includes shipping.